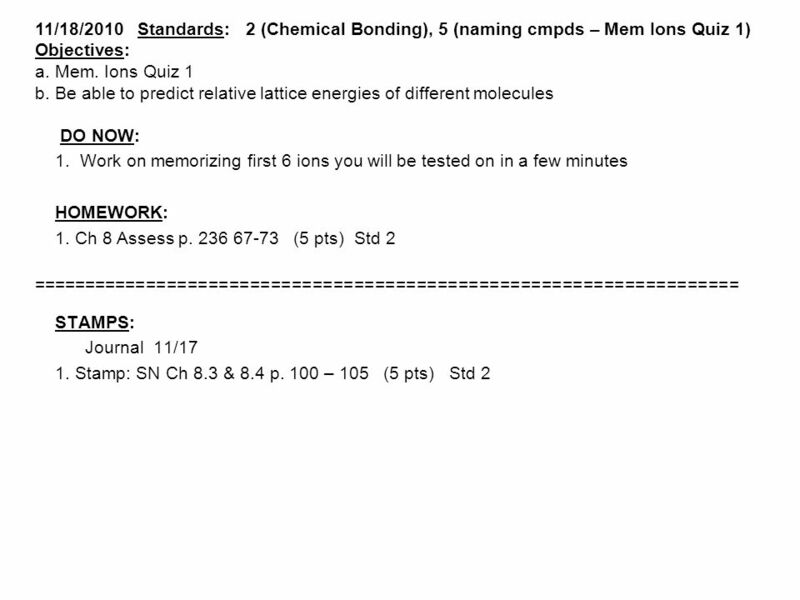 11/15/2010 Standards: 1 Structure of the Atom Objectives: a. 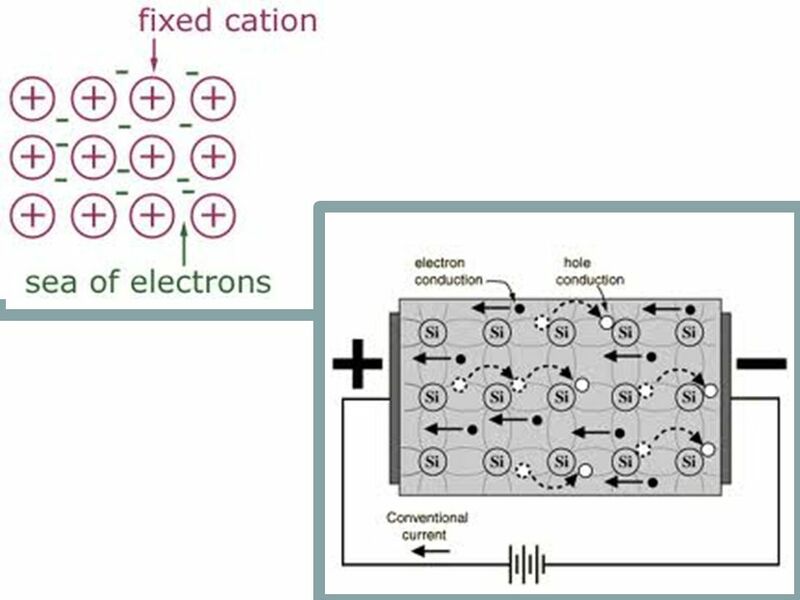 Be able to describe how ions are formed. b. 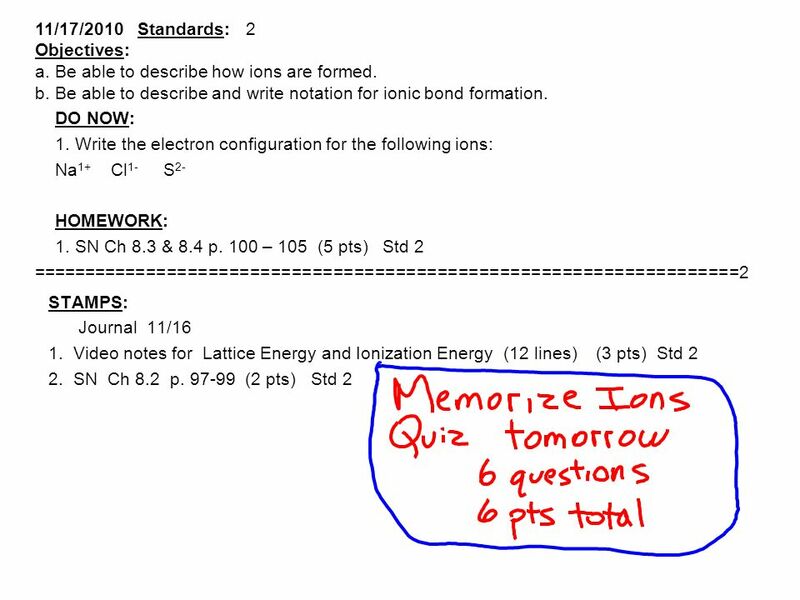 Be able to do cut & paste of putting ions together. 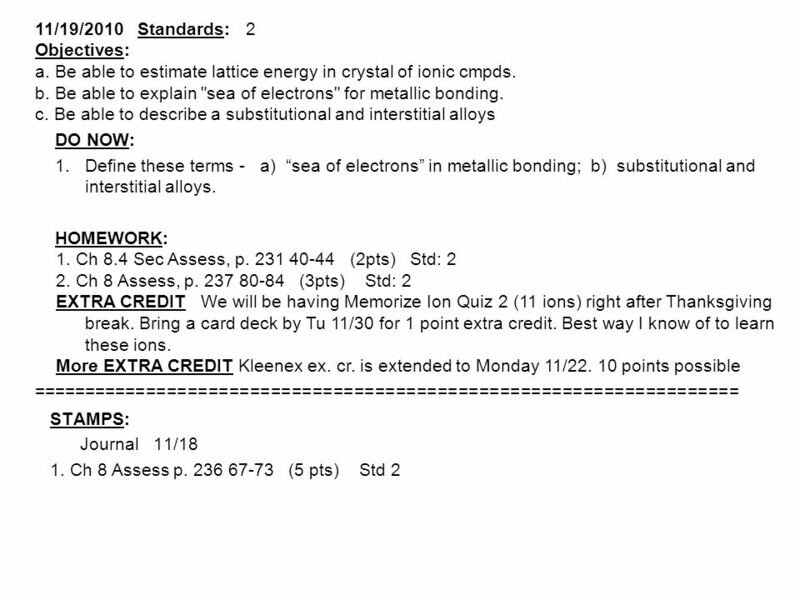 3 EXTRA CREDIT Kleenex – bring up to 2 boxes. 5 pts ea. 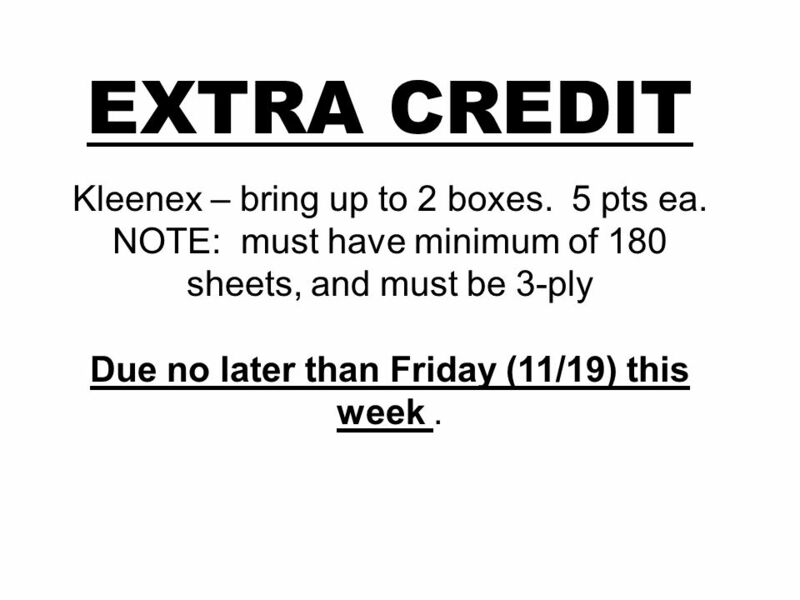 NOTE: must have minimum of 180 sheets, and must be 3-ply Due no later than Friday (11/19) this week. 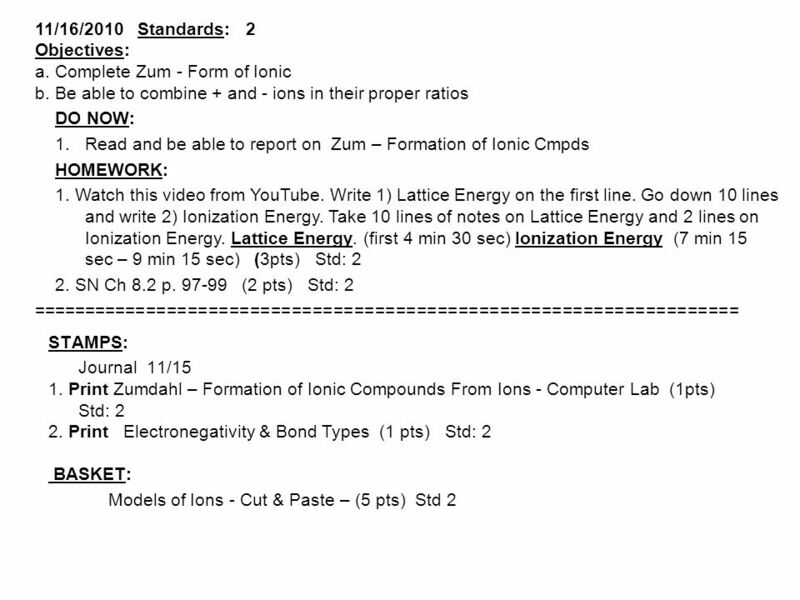 Download ppt "11/15/2010 Standards: 1 Structure of the Atom Objectives: a. 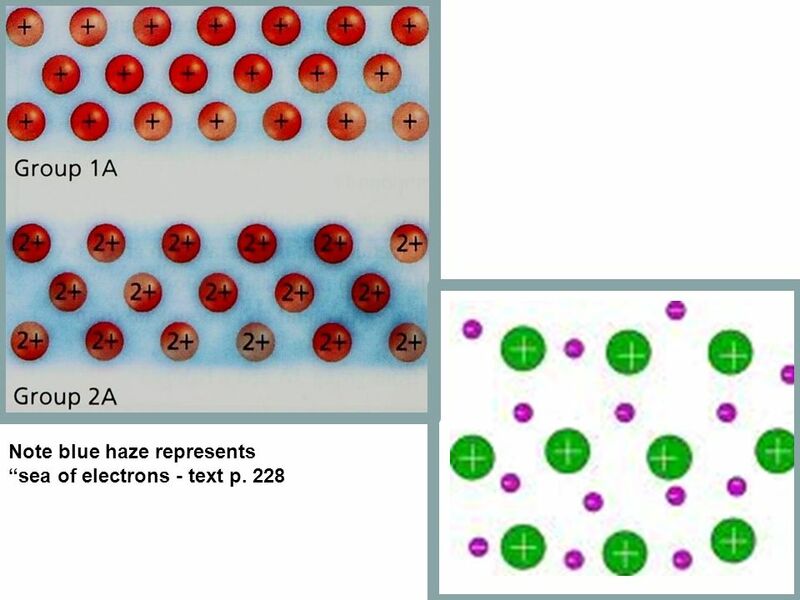 Be able to describe how ions are formed. b. Be able to do cut & paste of putting ions together." Matter takes up space and has mass Everything composed of matter Any biological process, function or structure can be broken down to its chemical level. HOLD UP YOUR BOARD! Chapter 7 Review game. Atom atom atom atom atom 1.True or false? Protons are in the nucleus. 1 METALS Bonds and Properties Alloys Pure Elements. 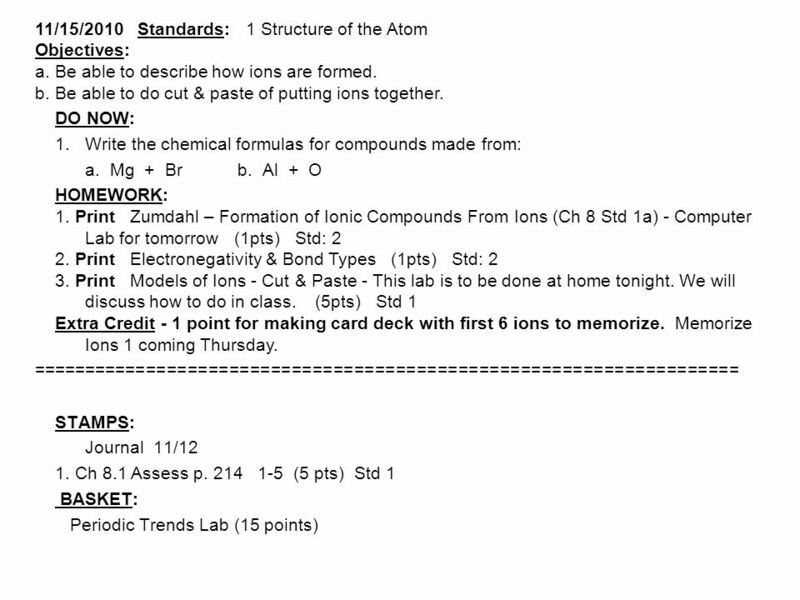 Periodic Trends 6.3 Section Periodic Trends II. 1. What does this symbol mean? 2. Sodium has this hazard symbol - what precautions should you take when using it? Test 7: Chemical Bonding Cartoon courtesy of NearingZero.net.